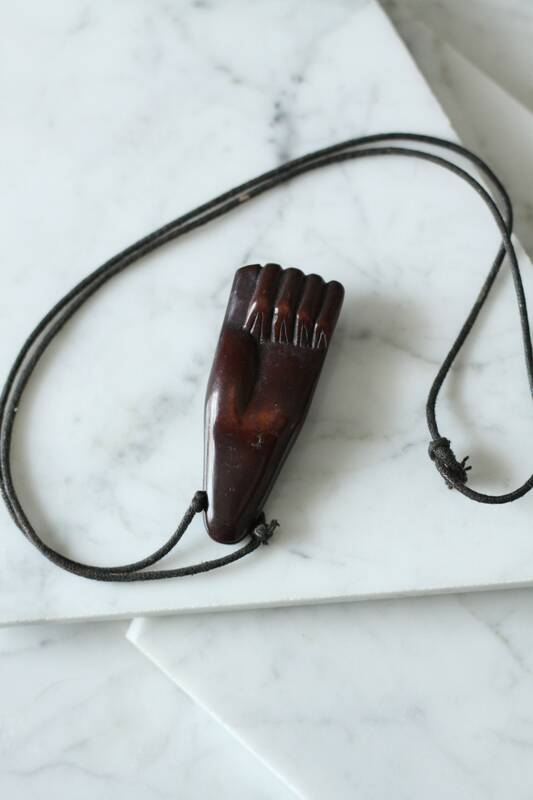 1970s power fist pendant necklace. 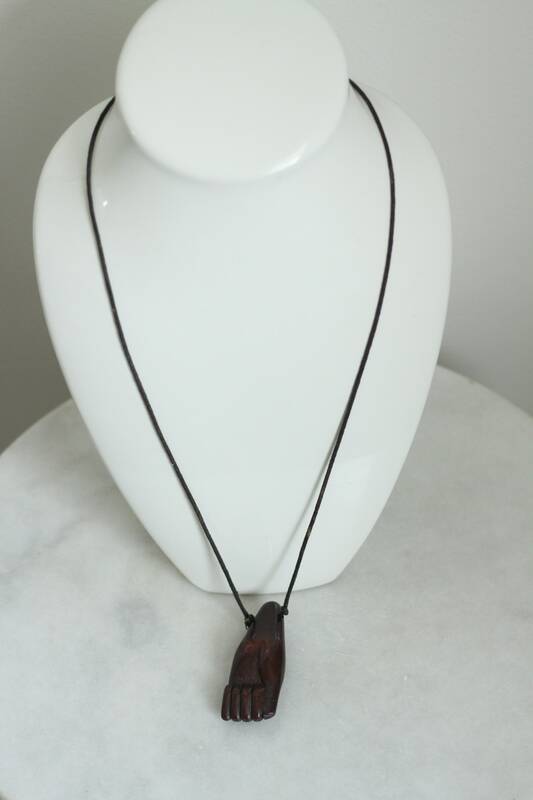 The pendant in on a very narrow leather strand and could easily be transferred to a different chain if desired. 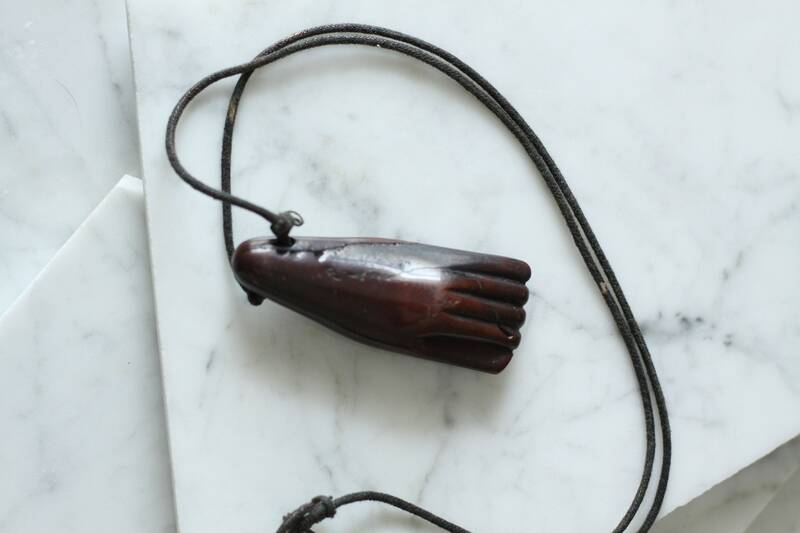 Large brown fist shaped pendant. 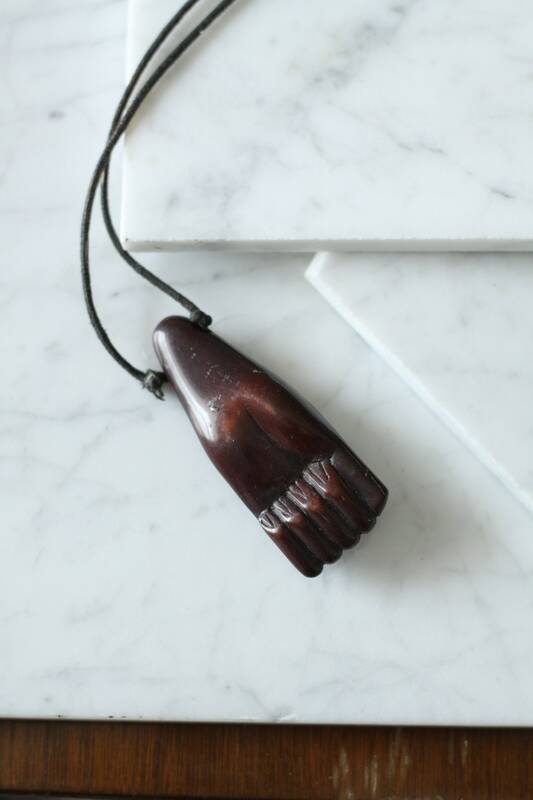 The pendant is smooth and cool to the touch. 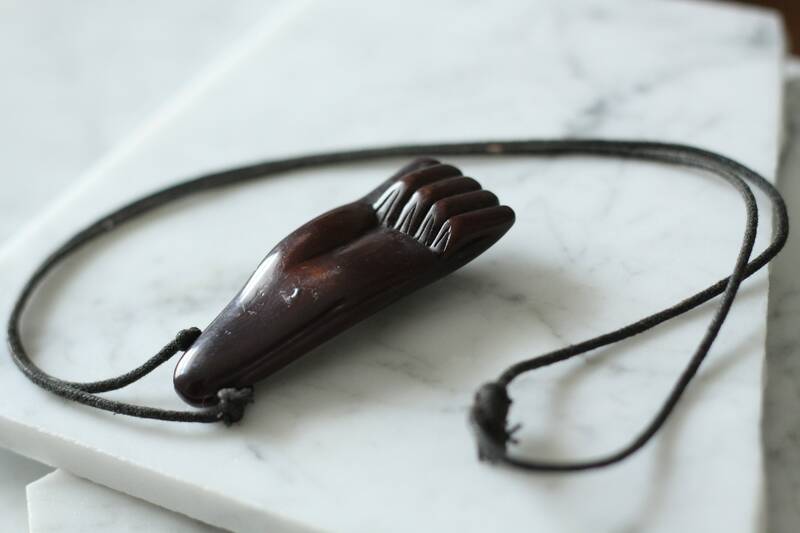 I believe it is stone but I cannot identify the type of stone. Pendant size - 3" x 1"
Good vintage quality. No major flaws or defects to this piece.